Today: Think you know cucumbers? 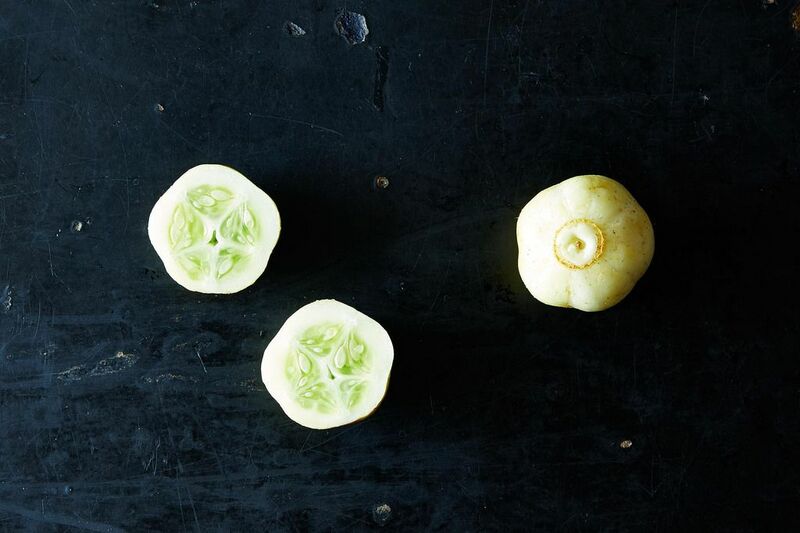 Brush up on additional cucumber knowledge to improve your cucurbit cred. Historically, late summer is considered an off-season for news. In the U.S., Congress recesses, and nightly news programs seem filled with stories best suited for the cover of an entertainment magazine. (Unfortunately this doesn't seem to be holding true this year, and we'd happily watch frivolous news stories if it meant we could magically whisk away the unrest around the world.) America’s inspired name for this time of year: the slow news season. Other countries get more imaginative, dubbing this the "silly season" or "cucumber time," the latter of which we’re honoring, as we tell you even more about cucumbers during our summer week (a.k.a. Food52's off-season). 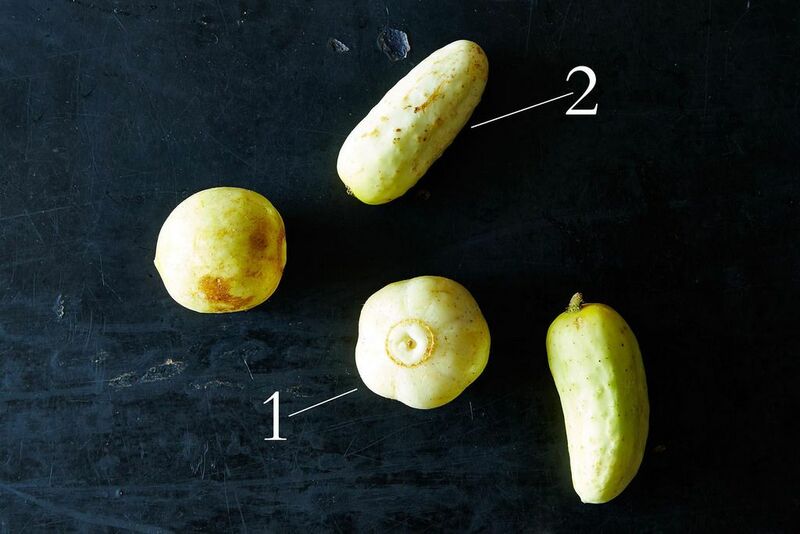 As you can see, cucumbers don’t just come in shades of green; they can be yellow, like these lemon cucumbers (1); orange; white, like these white pickling cucumbers (2); and even brown. When it comes to colorful cucumbers, use them just as you would their more typically-colored relatives. 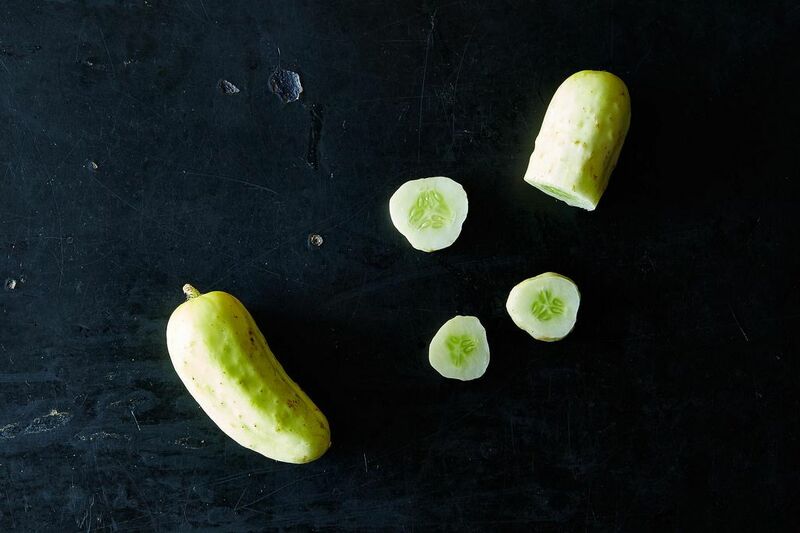 We recommend trying one of our 12 favorite ways to enjoy cucumbers before you follow the ancient Egyptian recipe for a "popular beverage" that Jack Staub calls "an early lapse in culinary judgment." Apparently, Egyptians would cut a hole at the end of a ripe cucumber, stir up the seeds and pulp with a stick, seal up the hole, and then bury the cucumber for several days, after which point the innards would have become "an agreeable liquid." We're not so sure. More: If you want to make a fermented beverage, stick with homemade kefir instead. You’ve probably heard the phrase "cool as a cucumber" before -- crunching into one is no doubt refreshing (even the very air around them smells fresh) -- but you might not know just how true it is. On a hot summer day you might be sweating, but that cucumber growing in your garden isn’t -- inside, that cucumber’s flesh is 20 degrees cooler than the air temperature. Tell us: How do you like to keep cool with cucumbers? peel the cucumber,way to the bottom,leaving about 11/2 inch of skin,slice length wise to the skin add lemmon as much as you like,add chili powder or paprika .that's it.enjoy.kids wil love it.and me too. (74)years old. Some people cannot eat cucumbers because they get gas. Cucumbers are cucurbits as are summer squash and melons. There are some melons that make quite splendid cucumbers. You can find them as seeds or in nurseries labeled as "Armenian Cucumbers." But they are not cukes at all; they're a category of melon known as mekti. For several varieties of mekti, see the Baker Creek catalog (rareseeds.com) and look under melons and then under mekti. They carry three kinds. One of my farmers' markets and my local coop carry them sometimes too. My husband can now eat cucumbers. If you spoon out the seeds like you do with a lemon you will not have the gas problem. The seeds are what cause it, not the cucumber it's self. those lemon cucumbers are hard to find. i got them at a market in holmdel one year, and the next year they didn't know what i was talking about. someone told me they are called sicilian cucumbers also. Try growing these from seed. Just plant seeds in a tray in your window about 6 weeks before you plan to plant outside. Ive grown the lemon cukes from seed past 2 years and they did really well. Plant several plants for one family. Try Ebay for the seeds, easy and cheap. try slicing cucumbers like my mom did and pour white vinegar and salt over them. a delicious snack and a great thing to serve on a hot summer day! I just use soy sauce. Delish!